Moving into Friday calls for festival goers to dig down deep, shake off the cobwebs and get ready for music early. Josh Grider has been an LJT favorite for many years now. The best sets he plays each year are usually at LJT. He’s gotten standing ovations at the acoustic stage solo and as a trio. He’s back solo this year at 12 noon on the acoustic stage and coming off his best commercial year to date. Let G-Ride be your breakfast/lunch soundtrack and get your day started right. Following Grider is the reverend Walt Wilkins. Complemented by his Mystiqueros, Wilkins is sure to bring his trademark mystical and laidback vibe to the proceedings at 1:30PM. He is a Texas treasure and arguably our greatest contemporary songwriter. Following Walt is another tall Texan with a unique blend of songwriting and storytelling, Max Stalling. Stalling has long flown under the radar and without good reason. His songs and albums rank among the finest of the last decade and he’s a lively showman with great presence. Take it all in at approximately 2:30PM. One act was the talk of the festival last year, Josh Weathers. 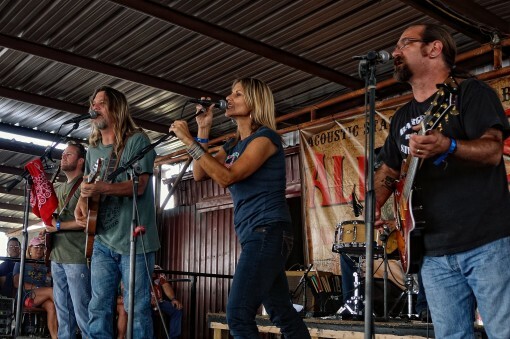 Weathers turned in a career defining performance on the acoustic stage with his full band that made him thousands of new fans and catapulted the Ft. Worth musician to a statewide force. Weathers is back this year, full band in tow again…but on the mainstage at 7PM. His blend of country, blues, funk , soul and rock will undoubtedly get the masses grooving. That 7PM slot is pretty much primetime at LJT…the sun is setting, most of the crowd is still coherent and the vibe is just right. Looking forward to seeing what Weathers does for his LJT encore. Homegrown favorites and Galleywinter Ultimate LJT Giveaway partners, Six Market Blvd hit the stage next. They’ve worked their way up the LJT totem pole and their bassist was renowned for working at the festival for many years. No band will have a greater home field advantage than the 6MB boys at LJT this year and we eagerly anticipate seeing what they do with it. Rounding out Friday night our two legendary Texas acts with a rowdy honky-tonk sound and following: Roger Creager and Kevin Fowler. 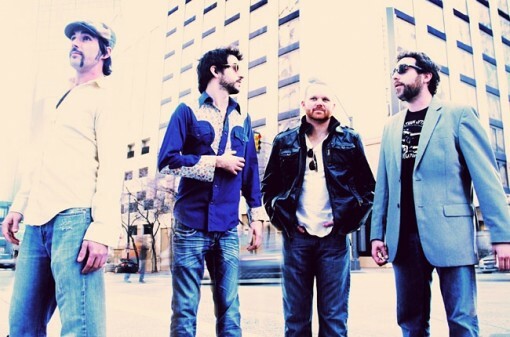 Their music and style is a nice complement to the LJT environment and should finish Friday off in a very nice way. your website got here up, it seems good. I’ve bookmarked it in my google bookmarks. I just want to say I am just new to blogging and site-building and seriously liked you’re web site. Probably I’m likely to bookmark your blog post . You amazingly come with terrific posts. Thank you for sharing your website page. Even while some sort of income tax discount could possibly could be seen as safe, it is really not likely. Thanks for another great article. Where else may anybody get that kind of info in such an ideal way of writing? I’ve a presentation subsequent week, and I’m at the look for such information. Thanks for sharing superb informations. Your website is very cool. I’m impressed by the details that you¡¦ve on this website. It reveals how nicely you understand this subject. Bookmarked this web page, will come back for extra articles. You, my pal, ROCK! I found simply the information I already searched everywhere and simply couldn’t come across. What a perfect web site. Thanks , I have just been looking for info about this subject for ages and yours is the greatest I have found out till now. But, what about the conclusion? Are you certain concerning the source?